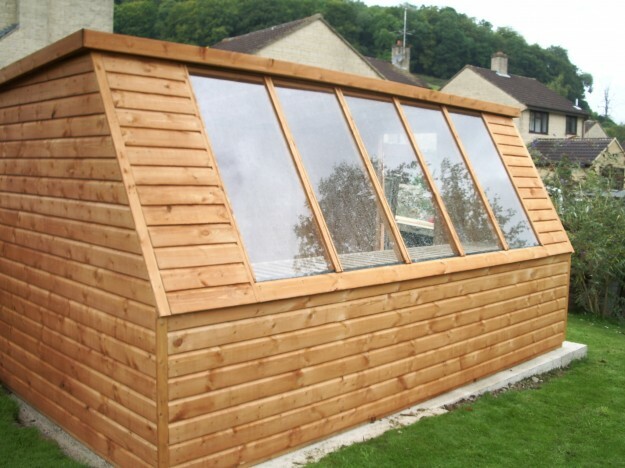 Bespoke potting sheds and solar sheds to suit your gardening needs. 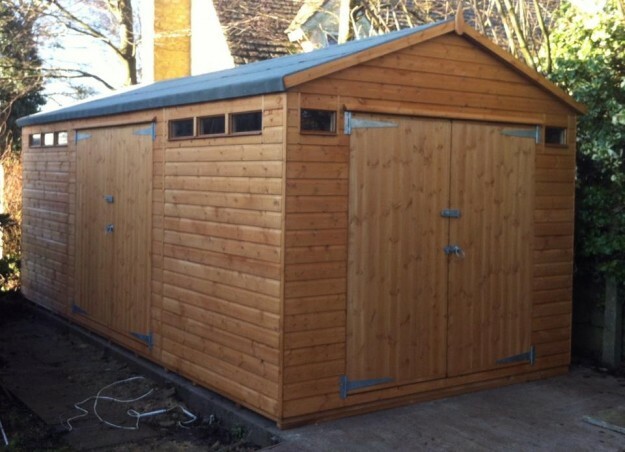 Bespoke large buildings to suit any purpose. 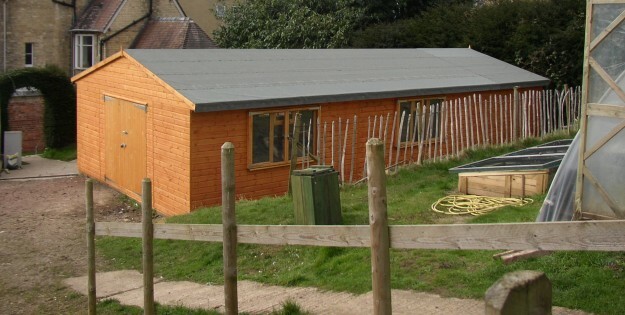 This garden building provided a workshop at one end and a summerhouse at the other. Custom size and custom 'Onduvilla' roof tiles. 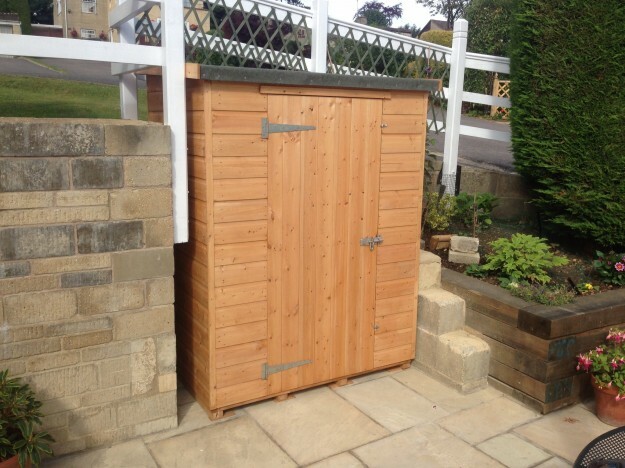 Made to Measure Sheds to fit any space in your garden. 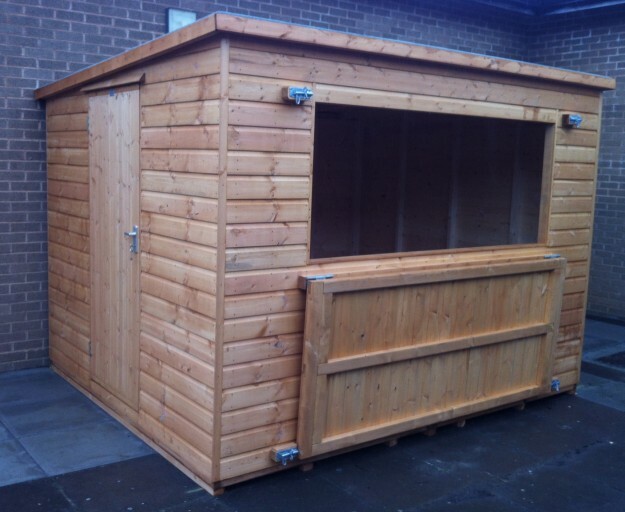 This wooden building is serving up sweets and treats as a tuck shop at a Gloucester based School. 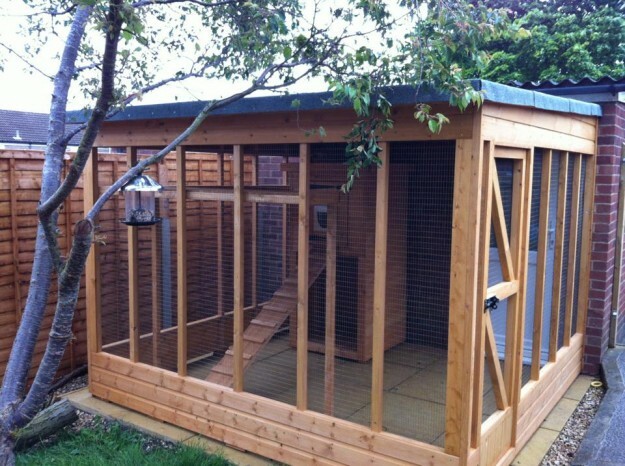 Whether large or small, if you love the animal in your life, treat them to a Mastersheds home! 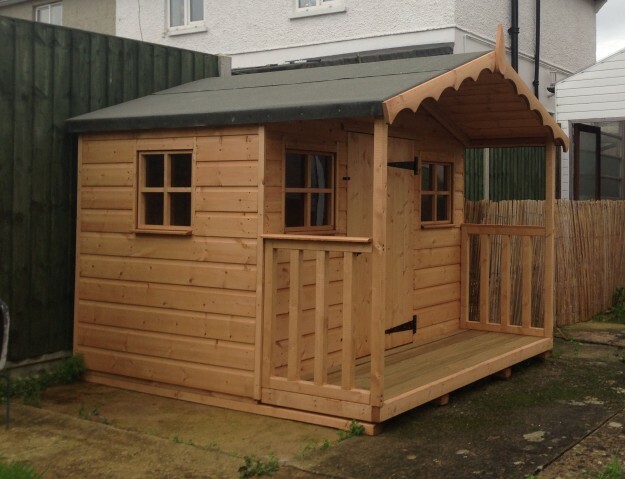 Our bespoke Wendy houses & Playhouses are ideal for Christmas and birthday presents for the little ones. Our tool tidys are made to fit in to valuable space that you don't want to waste. 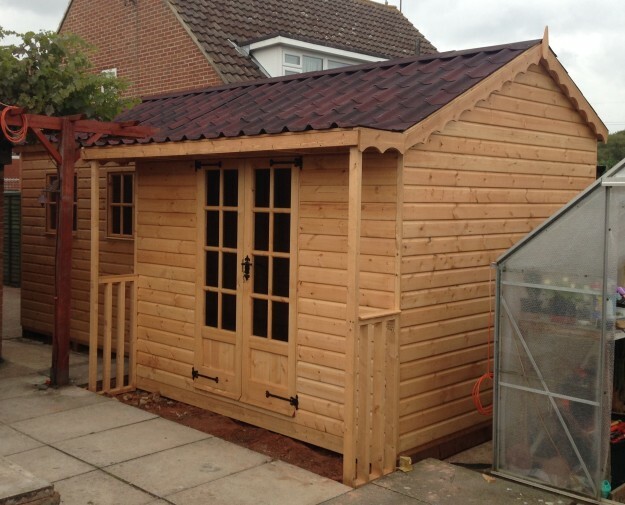 Master Sheds Ltd design and construct custom-made wooden buildings throughout Gloucestershire. 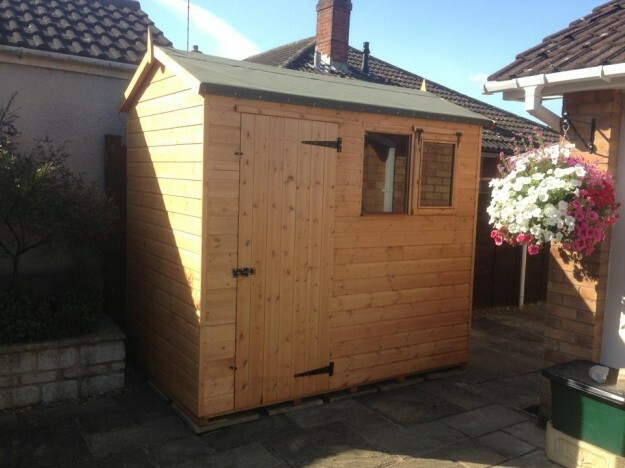 Established in 1985, we specialise in manufacturing bespoke garden buildings for customers looking for top quality materials and workmanship. 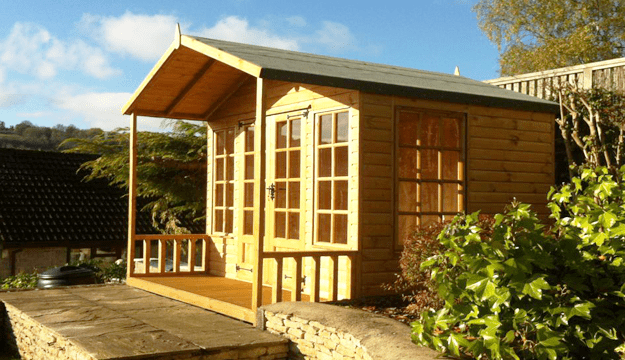 From sheds, workshops and garden offices, to wendy houses, aviaries and pavilions we specialise in custom wooden builds and can take on almost any job. We make the buildings that other companies don’t; perhaps to fit an awkward space or a non-standard size or configuration. All of our products are ‘made to measure’ so we do not have a brochure or keep any buildings in stock. We are always working on orders in our workshop which you are welcome to come in to view. We also have lots of photos of buildings that we have made previously – please look at the ‘View our Products’ page. Likewise, we don’t have a price list online but are happy to give you a quote, based on your exact requirements. Because everything is custom-made there is a waiting list, so please factor this in when planning to purchase one of our products. PLEASE NOTE THAT WE WILL ONLY DELIVER WITHIN A 60-MILE RADIUS OF OUR WORKSHOP IN GLOUCESTER. YOU CAN GOOGLE OUR POSTCODE ‘GL2 5JA’ TO CHECK HOW FAR AWAY YOU ARE FROM US. WE CURRENTLY HAVE A 10 WEEK WAITING LIST AT THIS PRESENT TIME. ALL BUILDINGS BIG OR SMALL ARE MADE TO ORDER.